It’s no secret that the carpets in our home or business see a lot of use, and regular vacuuming just isn’t enough to keep carpets clean. Over time, dirt will get embedded deep within your carpet’s fibers, leading to a dull or dirty appearance and potential odor problems. Regular professional carpet cleaning every six to twelve months is recommended to maintain clean, healthy carpets. Regular vacuuming can help keep your carpets clean, but it is mostly ineffective at removing soiling and contamination caused by spills. For high-pile carpets, vacuuming is even less effective due to the vacuum’s inability to reach deep down past the surface layer. Additionally, standard vacuum cleaners are rarely powerful enough to remove dust and dirt that become lodged deep within the pile of your carpet. There are billions of tiny insects and dirt particles that thrive on the stuff your vacuum cleaner doesn’t and can’t remove. The only way to rid your carpet of these pests is expert and professional carpet cleaning. Longer Lasting Deep Clean. We don’t just clean the surface of your carpets, we get down deep removing the dirt, soil, and contaminants from your carpet. With our residue-free cleaning methods, your carpets will stay cleaner longer. Healthier Environment. Our carpet cleaning methods kill and remove germs, bacteria, and dust mites. Our high powered equipment is strong enough to kill and remove these contaminants from your carpets without damaging your carpet fibers. No Sticky Residue. We don’t leave behind any sticky or unpleasant cleaning residues when we clean your carpets. 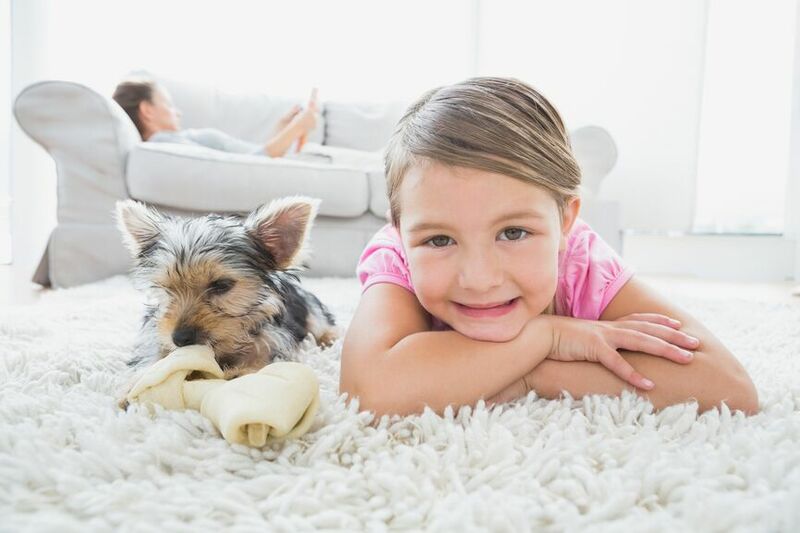 We rinse out and extract all of the dirt, soil, and cleaning agents from your carpets, ensuring your carpets don’t have any residues that will just attract dirt the moment we leave. Fast Drying Time. Because we use top-of-the-line cleaning equipment and methods, we are able to extract most of the moisture we put down. Depending on the grade of carpeting and the circulation of air in your home or office, our drying time is significantly shorter than other cleaning methods. 110% Satisfaction Guaranteed. We believe in building a long lasting relationship with our clients and there is nothing worse than being let down by a bad cleaning experience. That is why we strive to provide you with the best customer service and highest quality of carpet cleaning possible. We take pride in the quality of service we provide. We pre-treat all carpeting to help loosen the soil and spots from the carpet. This helps to soften the fibers and gives an overall better cleaning job. We also add in a deodorizer at no extra charge to help give that fresh clean smell. Your carpets not only look great after we have cleaned them, they also smell great. Clean Masters Carpet Cleaning division has sophisticated state-of-the-art cleaning processes that you can trust for your home or business. Clean Masters specializes in carpet cleaning and water extraction and has served clients in the Charleston, Harleyville, Reevesville, Ridgeville, Saint George and Summerville for over 20 years. We use only safe, biodegradable, non-toxic and non-irritant chemicals and formula to clean your home or business. Let Clean Masters clean your carpet in your home or business today.